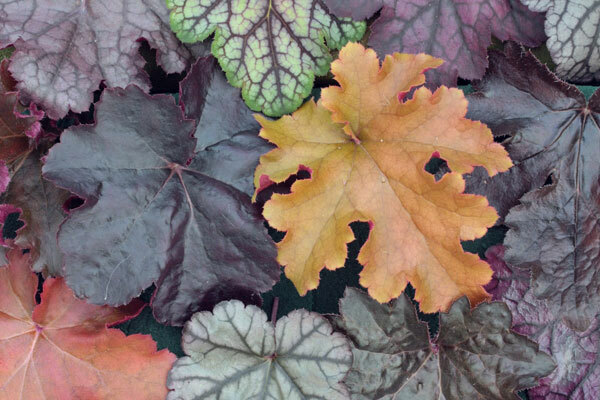 With an inspiring range of cultivars with coloured leaves and flowers to choose from, Heuchera is nominated as HTA’s Plant of the Month for October and is part of the Plan it Plant it this Autumn campaign. Traditionally used as fillers in the border, plant breeders have transformed Heucheras (commonly named coral bells) into something of a star turn. New and exciting cultivars of this plant have come on the market in recent years with ever more vibrant leaf colour, from yellows, oranges and lime greens, through to purples, reds and browns. They are most effective when planted en masse in a border but also can also be used in a stand alone planter to bring vibrancy and texture to the garden. 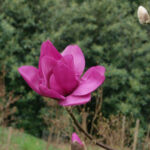 They can be grown in winter baskets and containers for placing on the patio at any time of the year. They can be grown in full sun or partial shade in soil that has had well rotted manure or compost added prior to planting. Unlike other leafy plants, Heucheras don’t seem to suffer from slug and snail damage. Nominated and agreed upon by British growers and retailers, the HTA’s Plant of the Month campaign highlights the plants that are widely available and looking especially good each month.